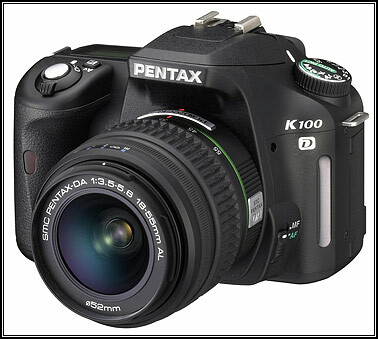 The K100D was the very first Pentax K-mount camera to incorporate the Pentax sensor-shift “Shake Reduction” system to reduce the blurring of photos due to (hand-held) camera shake. The image sensor is suspended elastically so that it can oscillate horizontally, vertically, and rotatingly. The oscillations are driven using magnetic force. Frequency and amplitude of the oscialltions are adjusted in proportion to the amount of camera shake detected by a built-in sensor. The SR mechanism can work with any K-mount or srcew mount lens mounted to the K100D!